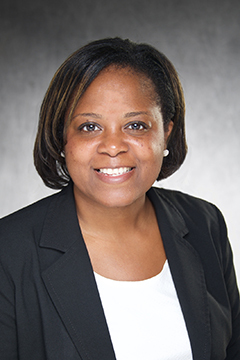 Shamika Patterson, human resources coordinator at the University of Iowa Roy J. and Lucille A. Carver College of Medicine, is one of six participants selected for the College and University Professional Association for Human Resources (CUPA-HR) 2017–18 Wildfire program. The 12-month leadership-development experience is geared toward early-career human resources professionals working in higher education. Patterson and other participants will develop professional skills through tailored learning experiences including mentorship, conferences, shadow visits with chief HR officers, and a year-end project. The Wildfire program, now in its fourth year, received more than 170 applications for 2017–18. Participants were selected based on demonstrated commitment to the HR field and on the strengths and development areas identified on their applications. The program formally kicks off on July 13 at CUPA-HR’s annual Association Leadership Program, which brings together association leaders from across the country.